From the international best selling book. Salma Hayek is a hell of a great actress, love her! But Adrien Brody kind of looks like a wimpy kid next to her… lol! Anyway, great film ahead! 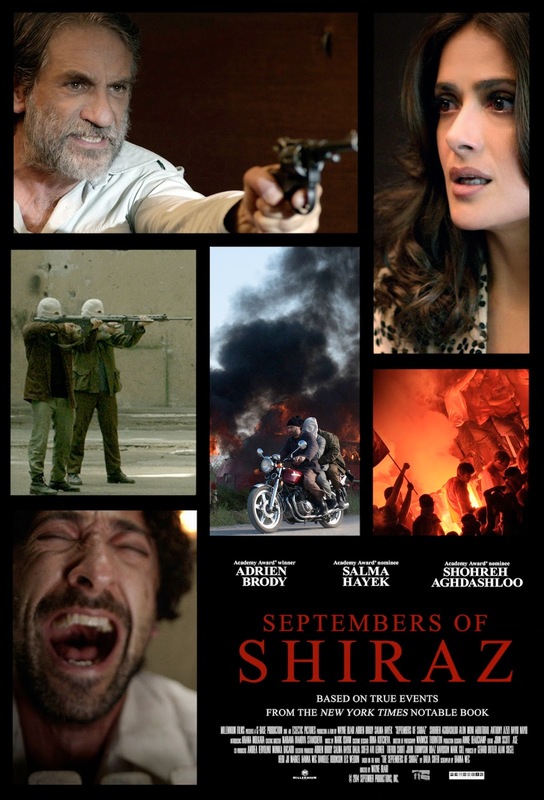 The release date of the movie Septembers of Shiraz is set to June 24, 2016. Actress Salma Hayek manages to look beautiful even with an ugly headscarf. Salma Hayek still manages to look gorgeous even with a damn scarf on her beautiful head! There’s still no official release date. Actress Salma Hayek is a beautiful woman, isn’t she? And she can also be a hell of a fighter when she wants: have you seen the action-packed trailer of Everly?